One of my favorite summer treats (that I've forgot about until this past week) is this delectable frozen concoction that satisfies my sweet tooth while also being the most refreshing drink with which to cool off in our 100+ degree temperatures. 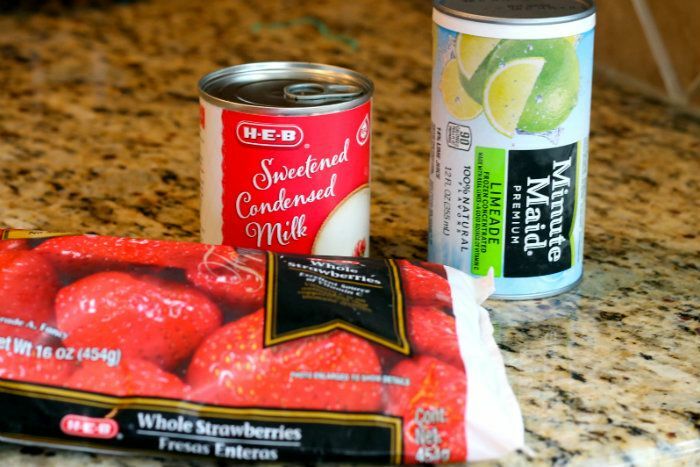 In a blender place half of the can of milk and half of the can of limeade concentrate, plus ALL the strawberries. Mix ingredients on high for several minutes until smooth. Give it a little taste and determine if it's too sweet, too sour, or just right. 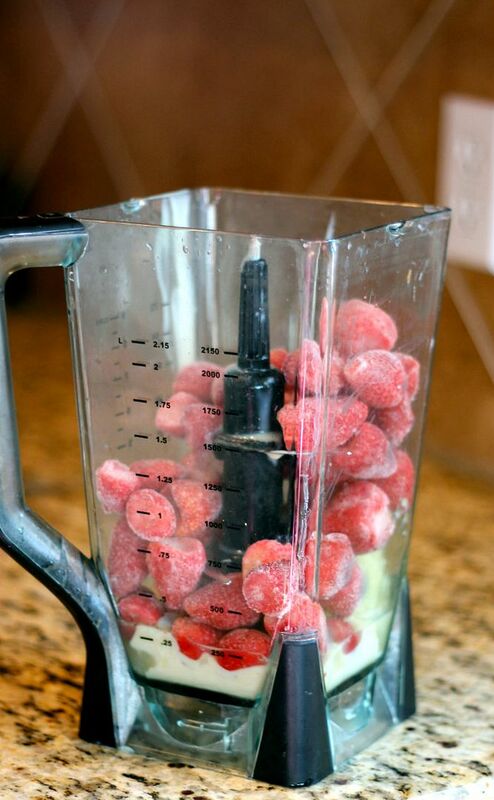 If it's a little sour or too thick, add 1/4 cup water to the blender and remix. As a side note, we eat these cool concoctions with either a large straw or spoon...it's meant to be thick. 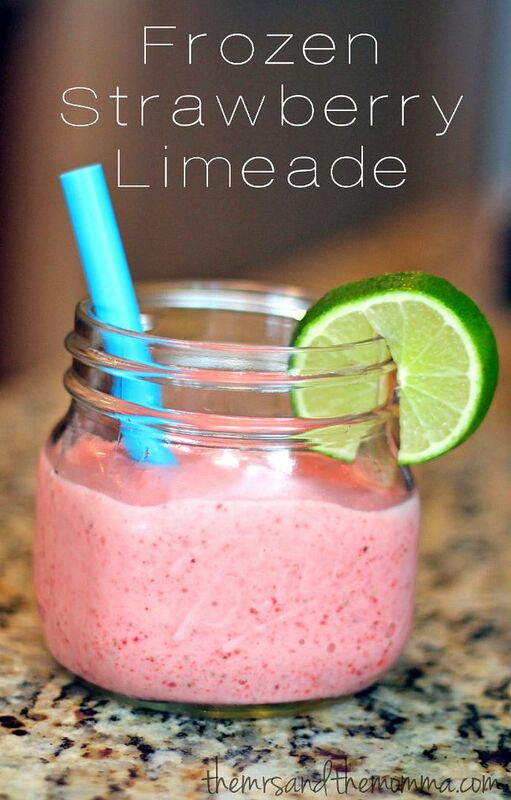 Then pour the tarty sweetness into your favorite glass, walk outside, and enjoy the refreshing bliss that is a Frozen Strawberry Limeade. that sounds and looks so delicious!! Yum! One of my friends brought Brazilian lemonade to a get together and I loved it. I'm glad I have a similar recipe now! It's SOOOOO yummy. Horrible for you....but delish! Mmmmh... that sounds and looks like a delicious idea! I'm going to have to try it! It IS!!!!! Such a treat!